Size: 22 x 15 in. 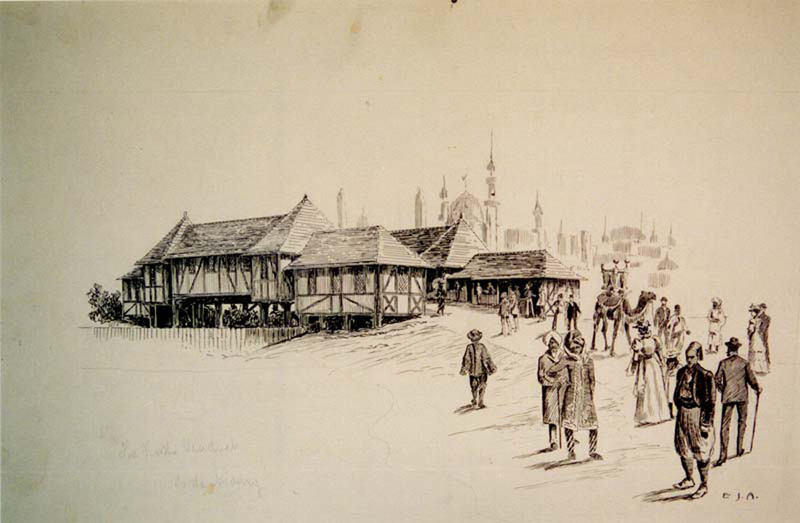 Drawing of North Viaduct on the East Midway. Moorish Village visible in the background. Spectators and performers with camel in foreground. Framed illustrations.